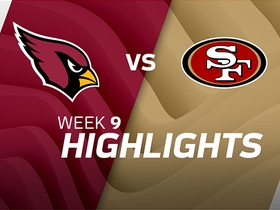 Gresham reeled in all three passes for 22 yards during Sunday's 18-15 win against the 49ers. Analysis: A late addition to the Week 8 injury report, Gresham's heel injury was a callback to his season-ending torn Achilles from the 2017 finale. He brushed it off, though, and logged 31 offensive snaps versus 48 for fellow tight end Ricky Seals-Jones, who recorded two catches (on four targets) for 12 yards. Gresham's catch rate of 85.7 percent this season can't be denied, but with just seven targets in six games, his lack of volume keeps him on the outside looking in. Gresham (heel) is active for Sunday's game versus the 49ers, Darren Urban of the Cardinals' official site reports. Analysis: In Week 7 against the Broncos, Gresham earned more offensive snaps than fellow tight end Ricky Seals-Jones (39 to 29) for the first time this season. Nevertheless, Seals-Jones remains the preferred receiver at the position, recording 10 catches to Gresham's three in the veteran's five appearances so far. Expect much of the same with Gresham primarily focused on blocking duties. Gresham (heel) is listed as questionable for Sunday's game against the 49ers. Analysis: Gresham didn't make an appearance on the Cardinals' injury report until Friday, when he was listed as limited. He likely is dealing with the residual effects of his torn Achilles from Week 17 of last season, but his availability for Week 8 will be watched to see if he can play Sunday. If not, Ricky Seals-Jones would serve as the primary tight end. Gresham wasn't targeted while playing 39 of 66 offensive snaps during Thursday's 45-10 loss to the Broncos. Gresham (Achilles) doesn't carry an injury designation into Thursday's game against the Broncos, Darren Urban of the Cardinals' official site reports. Analysis: After logging two limited practices Monday and Tuesday, Gresham was able to get in a full practice Wednesday and eliminate any lingering concern about his Week 7 availability. Gresham has yet to catch more than one pass or record more than 30 receiving yards in an game this season, rendering him an unappealing fantasy option. Gresham (Achilles) was a limited practice participant Tuesday, Darren Urban of the Cardinals' official site reports. 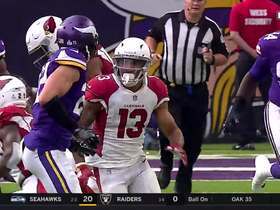 Gresham (Achilles) doesn't have a designation for Sunday's game at Minnesota, Darren Urban of the Cardinals' official site reports. Analysis: Gresham is a candidate to land on the injury report all season after suffering a torn Achilles in Week 17 of last season. No matter, he'll be hard-pressed to pass Ricky Seals-Jones in the pecking order for targets among Cardinals tight ends. Gresham (Achilles) was a limited participant at Thursday's practice, Darren Urban of the Cardinals' official site reports. Analysis: After no practice Wednesday, Gresham's showing Thursday should allay concerns about the veteran tight end, who is a little more than nine months removed from tearing his Achilles. His workload the past three games has read 34, 55 and 54.9 percent of the offensive snaps, but targets have been few and far between. With a stat line of 2-20-0 on three targets, Gresham is clearly taking a back seat to Ricky Seals-Jones (10-123-1 on 25 targets). Gresham (Achilles) didn't practice Wednesday, Josh Weinfuss of ESPN.com reports. Gresham (Achilles) was a full participant in Friday's practice, Josh Weinfuss of ESPN.com reports. Gresham (Achilles) was a limited practice participant Wednesday, Darren Urban of the Cardinals' official site reports. 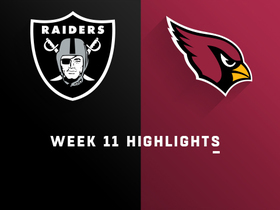 Analysis: The Cardinals have eased Gresham back into action after he tore his Achilles' tendon in the final game of last season, giving him 17 snaps in his 2018 debut in Week 3 and then 33 snaps in Week 4. He's likely in no real danger of missing Sunday's game in San Francisco, where the 30-year-old should continue to share work at tight end with Ricky Seals-Jones. Gresham (Achilles) doesn't have a designation for Sunday's contest versus the Seahawks, Darren Urban of the Cardinals' official site reports. Analysis: On the heels of his first game since tearing his Achilles in Week 17 of last season, Gresham was limited in the first two practices of this week before handling every rep Friday. He is thus ready to maintain or perhaps even increase his snap share Week 4. Nonetheless, he'll remain a distant second to Ricky Seals-Jones among Arizona tight ends until he proves healthy enough for a significant workload. Gresham (Achilles) is active for Sunday's contest versus the Bears, Darren Urban of the Cardinals' official site reports. Analysis: Gresham is poised to make his first appearance since tearing his Achilles during the 2017 season finale. That said, it wouldn't shock if he's merely active in the event something impacts the Cardinals' healthy tight-end duo of Ricky Seals-Jones and Gabe Holmes. Gresham (Achilles) is listed as questionable for Sunday's game against the Bears, Darren Urban of the Cardinals' official site reports. Analysis: Gresham progressed enough in his recovery from a torn Achilles to log full practices this week, but the Cardinals are understandably wary in deeming him questionable less than nine months removed from the injury. Coach Steve Wilks relayed optimism regarding the tight end, but even if Gresham is active Sunday, he'll be on a limited snap count behind top pass-catching option Ricky Seals-Jones. Gresham (Achilles) practiced in full Wednesday, Darren Urban of the Cardinals' official site reports. Analysis: Gresham took on every practice rep for the first time since tearing his Achilles' tendon in the 2017 season finale. 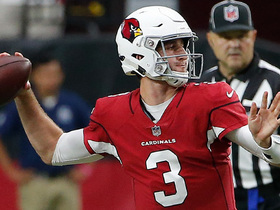 After the session, head coach Steve Wilks told Kyle Odegard of the Cardinals' official site that he's hopeful Gresham will suit up Sunday against the Bears. If he gains clearance, Gresham may have difficulty cutting into Ricky Seals-Jones' target share (12 through two games), especially in an offense that has been listless this season. Gresham (Achilles) is listed as inactive Sunday at the Rams, Darren Urban of the Cardinals' official site reports. Analysis: Gresham avoided the regular-season PUP list but has yet to log more than a limited practice the past two weeks. As such, the Cardinals likely are wary to introduce the tight end to in-game contact until he can handle a full workload at some point during game preparations. With Gresham still on the sideline, Ricky Seals-Jones will act as the team's primary pass-catching TE, even if Gabe Holmes gets a second consecutive start. Gresham (Achilles) is listed as questionable for Sunday's road game against the Rams, Darren Urban of the Cardinals' official site reports. Analysis: Since his activation from the PUP list on Sept. 1, Gresham has been a limited participant in every practice and inactive for the Cardinals' sole contest. Consequently, he doesn't seem like a great bet to suit up Sunday for the first time since Week 17 of last season, when he suffered a torn Achilles. Expect Ricky Seals-Jones to pick up most of the snaps afforded Cardinals tight ends, even when Gresham is back in action. Analysis: Gresham is maintaining his activity level from a week ago, when he was eventually ruled inactive for Sunday's season-opening loss to the Redskins. Until he progresses enough to be termed a full participant, he doesn't seem like a candidate to take the field on game day. Considering he's a little more than eight months removed from tearing his Achilles, Gresham probably remains weeks away from returning to action. Gresham (Achilles) is inactive for Sunday's game versus the Redskins. Analysis: Gresham managed limited practices all week, only to be ruled out on the first game day of the season. The development isn't a shock in the slightest considering he tore his Achilles in Week 17 of last year. With that knowledge, he may be closer to week-to-week than approaching a return to the field. While Gresham's recovery continues, Ricky Seals-Jones should be the primary pass-catching tight end, even if he yields starts to Gabe Holmes, as he did in the preseason. Gresham (Achilles) is listed as questionable for Sunday's game against Washington, Kyle Odegard of the Cardinals' official site reports. Analysis: Bouncing back from an Achilles tear suffered in the final game of last season, Gresham was activated from the PUP list over the weekend and managed limited practices throughout the week. He'll likely have his snap count restricted if he ends up playing, with Ricky Seals-Jones and Gabe Holmes also likely to get some work at tight end. Seals-Jones is the only one of the bunch with any real potential for fantasy purposes. Gresham (Achilles) was limited at Wednesday's practice, Darren Urban of the Cardinals' official site reports. Analysis: Removed from the PUP list over the weekend, Gresham returned to practice Monday, but his level of participation wasn't known until the Cardinals released their first regular-season injury report. Until he's cleared for contact -- which likely is still weeks away from happening -- Gresham should maintain this level of activity. For the time being, Ricky Seals-Jones and Gabe Holmes will be the tight ends of note in the Arizona offense. Gresham (Achilles) took part in practice Monday, Josh Weinfuss of ESPN.com reports. Analysis: Gresham is far ahead of the normal schedule expected of a player returning from a torn Achilles, which he suffered in the 2017 season finale. As evidence, he was activated from the PUP list Saturday, meaning the Cardinals expect him to play within the first six weeks of the campaign. While he goes through the final stages of recovery, Ricky Seals-Jones and Gabe Holmes will hold down the fort at tight end. Gresham (Achilles) was activated from the PUP list Saturday, Josh Weinfuss of ESPN.com reports. Analysis: This doesn't mean Gresham will be available Week 1, but it does mean he'll be eligible to return before Week 7. He's likely still working his way back to full strength after suffering a torn Achilles in the final game of the season last year. Ricky Seals-Jones and Gabe Holmes figure to get most of the snaps at tight end Week 1 against Washington. Coach Steve Wilks isn't sure if Gresham (Achilles) will be removed from the PUP list before the start of the regular season, Darren Urban of the Cardinals' official site reports. Analysis: Recovering from a torn Achilles suffered in Week 17 last year, Gresham will be ineligible for the first six weeks of the regular season if he's kept on the PUP list. The fact that it's even a consideration suggests he can essentially be ruled out for Week 1 against Washington. Ricky Seals-Jones and Gabe Holmes are the favorites for playing time at tight end, with RSJ the clear choice for those seeking potential fantasy impact. The Cardinals placed Gresham (Achilles) on the PUP list Monday, Kyle Odegard of the team's official site reports. 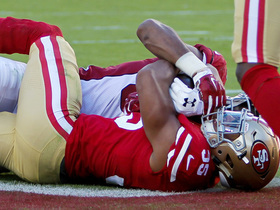 Coach Steve Wilks said earlier this week that he's "hopeful" Gresham (Achilles) will be available for the regular-season opener, Josh Weinfuss of ESPN.com reports. Gresham (Achilles) may not be ready for the start of the 2018 season, Kent Somers of AZCentral.com reports. 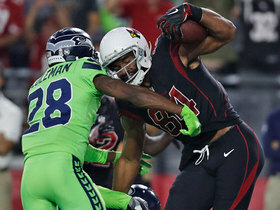 Gresham suffered a torn Achilles in Sunday's game against the Seahawks, Darren Urban of the Cardinals' official site reports. Analysis: The Cardinals' season ended Sunday, but this injury to Gresham will likely carry over into the 2018 season. He finished this past season with 298 yards and two touchdowns, and still has three years remaining on his current contract. Gresham is questionable to return to Sunday's contest at Seattle due to an Achilles injury, Kent Somers of The Arizona Republic reports. Analysis: Since entering the NFL in 2010, Gresham has dealt with the occasional injury, but the Achilles is a new affliction for the 29-year-old tight end. The Cardinals will move on with Troy Niklas and Ricky Seals-Jones at TE for the time being. Gresham (illness) doesn't have a designation for Sunday's game against the Giants, Darren Urban of the Cardinals' official site reports. Analysis: Gresham was unable to take the field last weekend due to an illness, which proceeded to limit his practice reps Wednesday and Thursday. However, the shackles were removed Friday, as he handled every drill thrown his way. Upon his return, Gresham is a good bet among secondary receiving options to succeed with reinstated starting QB Drew Stanton. In Stanton's two starts this season, Gresham recorded a touchdown on both occasions in the midst of seven receptions (on 10 targets) for 87 yards. The Cardinals have downgraded Gresham (illness) to out for Sunday's matchup against the Redskins. Analysis: The writing appeared to be on the wall regarding Gresham's status for Week 15 after the team promoted fellow tight end Gabe Holmes from the practice squad Saturday. Gresham's absence will mark his first since Week 2. Troy Niklas and Holmes will now provide depth at tight end behind Ricky Seals-Jones. Gresham (illness) is listed as questionable for Sunday's game against the Redskins, Darren Urban of the Cardinals' official site reports. Analysis: Gresham was a new addition to the injury report this week and was unable to practice Thursday and Friday. The veteran tight end seems to be trending in the wrong direction at this point, which would leave Troy Niklas as the Cardinals' No. 2 tight end if Gresham is unable to suit up Sunday. Gresham didn't participate in Thursday's practice due to an illness, Darren Urban of the Cardinals' official site reports. Analysis: Gresham wasn't on the Cardinals' injury report Wednesday, so the illness looks like something that came about overnight. If Gresham is able to recover in time for Sunday's game against Washington, he won't be a major part of the Cardinals' passing attack with Ricky Seals-Jones having recently supplanted the veteran as quarterback Blaine Gabbert's go-to option at tight end. Over the Cardinals' past four games, Gresham has recorded seven receptions for 67 yards on nine targets. 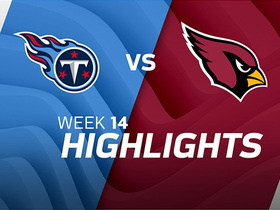 Gresham caught both of his targets for 27 yards during Sunday's 12-7 win over the Titans. Analysis: Gresham is nothing if not consistent: He's caught exactly two passes in seven of his last 10 games and has caught just one in two others. He maintains a stranglehold on Arizona's No. 1 tight end job, with 49 of 65 offensive snaps logged on Sunday, but Ricky Seals-Jones' involvement is climbing. He had 18 snaps on Sunday, up from single digits just a few weeks ago, and seems to be the future at the position for the Cardinals. Gresham caught two of three targets for 17 yards during Sunday's 32-16 loss to the Rams. 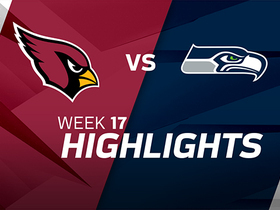 Gresham earned 50 of the Cardinals' 73 offensive snaps during Sunday's 27-24 victory against the Jaguars. Gresham was targeted once and recorded a 10-yard catch in Sunday's 31-21 loss to the Texans. 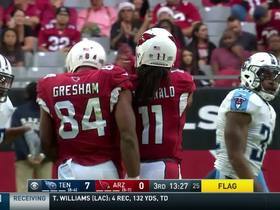 Analysis: You have to feel for Gresham. The former first-round pick was scoreless through the first six games of the season before going on a two-game touchdown streak to enter Sunday. All of a sudden, the new young gun -- Ricky Seals-Jones -- pops off two touchdowns in one game and Gresham is relegated to a single catch. Gresham's starting gig is far from on the line, he logged 45 offensive snaps to Seals-Jones' eight, but his production could keep taking hits if Seals-Jones heats up. 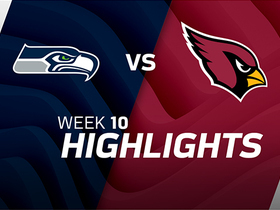 Gresham brought in five of seven targets for 64 yards and a touchdown in Thursday's 22-16 loss to the Seahawks. Analysis: Gresham's reception total equaled a season best, while his yardage total represented a high-water mark on the campaign. The 29-year-old has scored in consecutive games and could be a sneaky fantasy option down the stretch due to his apparent rapport with quarterback Drew Stanton. He'll look to put together a successful encore to his Week 10 performance when the Cardinals tangle with the Texans on the road in Week 11. Gresham tallied two catches, 23 yards and a touchdown off of three targets in Sunday's 20-10 win over the 49ers. Analysis: Gresham's second-quarter touchdown was his first score since Week 12 of last season. Gresham has a strong hold on the starting job with 69 offensive snaps on Sunday, but he plays in an Arizona offense that does not feature the tight end much. After eight catches in the first two games of the season, he's accumulated just nine in the last five contests. He's not fantasy starter material.